I came home from work yesterday and there were two packages for me! One from Gail McCormack from Australia and the other from Manuela from The Feathered Nest (click on their names to visit them). 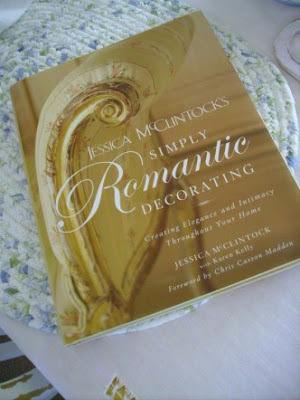 Manuela sent me an email last week and said she had Jessica McClintock's Simply Romantic Decorating Book and it reminded her of me so she sent it to me. Isn't that the nicest thing ever!!! 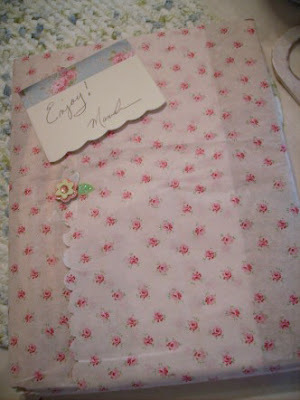 It came wrapped so beautifully too! The book is gorgeous! I love it! 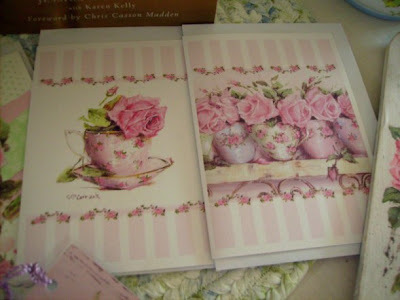 Gail sent me a package of goodies that were wrapped in a beautiful scented rose paper. I had already ripped the paper off before I realized I should have taken a picture of it. The best part was that it smelled like roses! 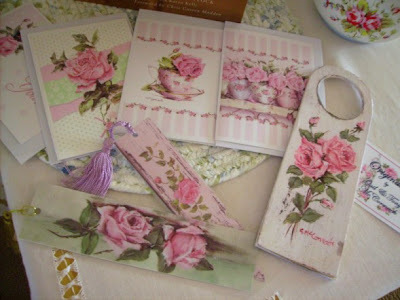 Gail sent me a set of beautiful note cards, two bookmarks, and a door hanger all made from her beautiful rose paintings. See the teapot in the picture above? I found that at the Goodwill on Sunday. 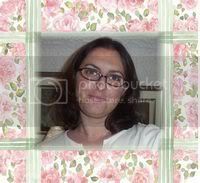 It's a Kath Kidston! I was thrilled when I saw that! It was only $3.99. I think I'm going to frame these two note cards. They are my favorites! I hung the door hanger on my bedroom door and it looks so cute! Thank you Gail and Manuela! You are both so kind and generous! I was so thrilled last night opening these beautiful gifts...it felt like it was my birthday or Christmas...it was so wonderful! Thank-you, thank-you, thank-you! What very thoughtful gifts. You must have been thrilled. 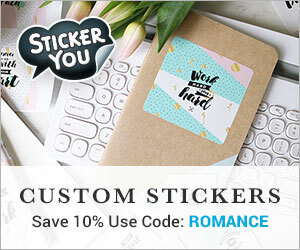 They look perfect for you. You are so lucky, I Love that teapot... And it must have been a great day for you to get all these goodies. 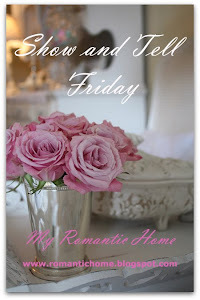 I have never been to your blog before and I love it, you have some very interesting posts...I'll certainly be back. What gorgeous, gorgeous gifts & what thoughtful, generous ladies! What beautiful and thoughtful gifts, from two very sweet friends! I'm so happy for you! That teapot was a wonderful find, too! How very sweet & thoughtful of those 2 ladies! I think Manuela is pretty special too, the more I get to know her. 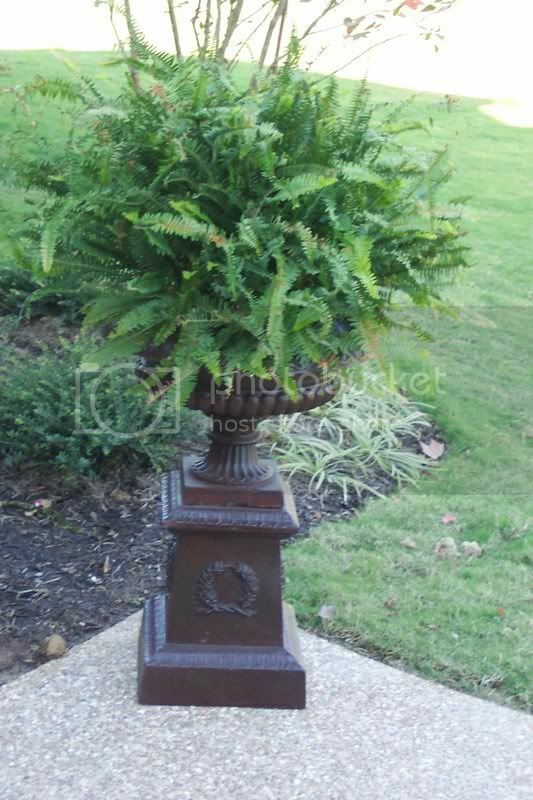 :) All of those pieces will look great in your home, Cindy! How sweet! 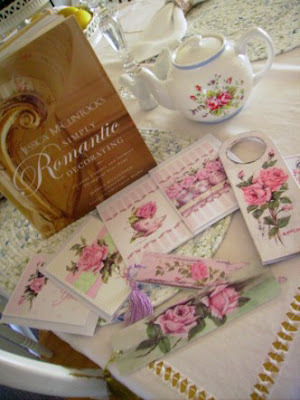 Beautiful things and they will look perfect in your lovely "romantic home"!Lucky you. How lucky to have such nice friends. The book looks like a good one. Cindy, Hello, great surprises! Could you share a few of your favorite photos from the book? (never seen it before) Happy WeeK! What sweet and kind ladies! The book is on my list to check out at the book store. I keep forgetting to look for it. Sweet of Manuela! What wonderful surprises! From 2 special ladies to another special one! Let us know how you like the book! It is on my list to check into! That teapot is too cute! And what a super price! A great day huh? : ) I love those sorts of surprises! Wow, what great friends you have! I will look forward to a review of your new book. Does Gail sale her note cards retail? They are beautiful!! !